Translated from a unique 18th-century manuscript, this work examines the interaction of the opposites inherent in existence. It is a clear statement of how existence works. 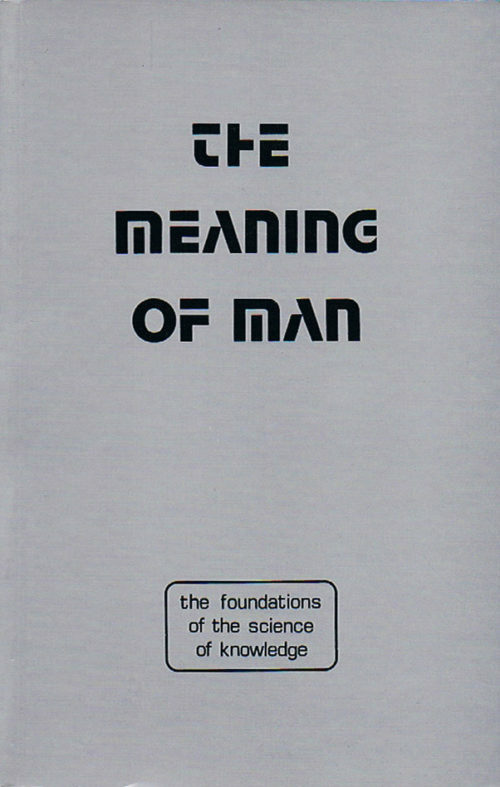 The Meaning of Man is translated from a unique 18th-century manuscript, this work examines the interaction of the opposites inherent in existence. It is a clear statement of how existence works. “Until this edition only one copy of the book was in existence. For two hundred years the author’s copy was kept at the place where he taught and during that time, regularly, every Thursday night, a small group of the intellectual elite of the city of Fez in Morocco would make their way down to the dyer’s quarter to the small zawiyya of the great teacher, gather in a circle and read, examine and apply the method delineated in the hand-written manuscript before them. As of today, that circle still gathers. 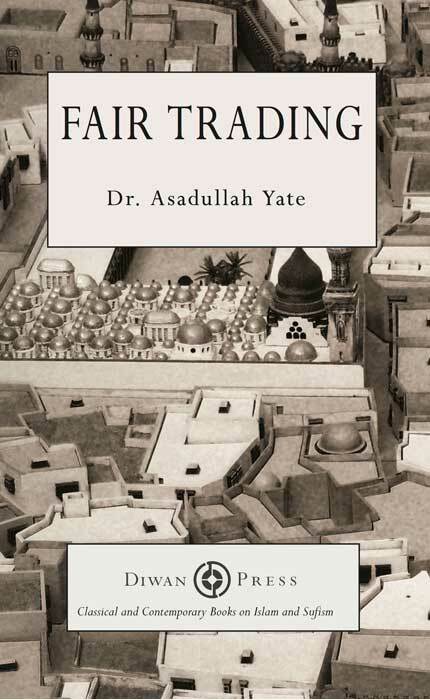 It is hoped that by publication of this extraordinary work, incomparable in its profundity and clarity, the circle of Fez scholars will be extended and that knowledge may be disseminated through it in this age of intellectual bankruptcy. Sidi Ali al-Jamal (d. 1193AH/1779CE) was a great reclusive shaykh. Originally from Fez, he had served in the administration. He travelled to Tunisia to learn from the Sufis later returning to build his zawiya in Fez. 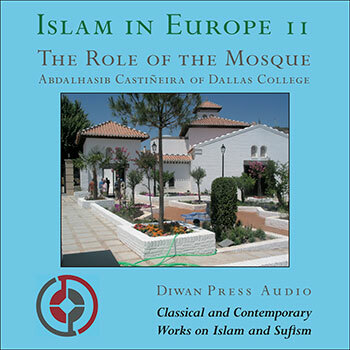 His most significant shaykh was Sidi al-Arabi ibn Ahmad ibn Abdullah. 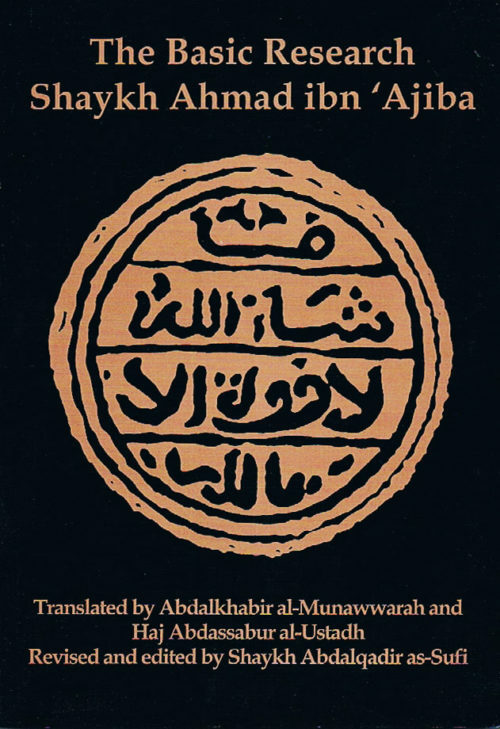 Sidi Ali al-Jamal’s teaching, expressed so vividly in this work, was distilled in The Darqawi Way, the letters of Shaykh Moulay al-Arabi ad-Darqawi to his murids, and he in turn transmitted it to a large number of shaykhs, the tariqa then becoming famous under his name. Praise be to Allah alone, and may Allah bless Sayyiduna Muhammad and his family and Companions and grant them peace. Praise be to Allah. 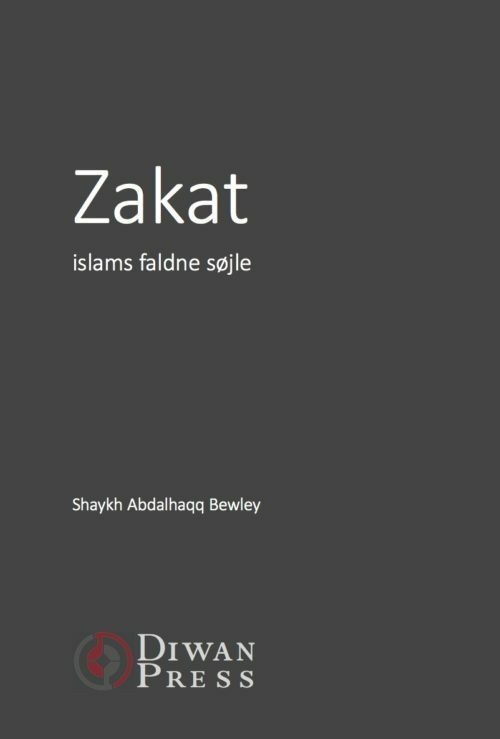 This is a blessed book presented by its author who is the Perfect Qutb, the teaching Shaykh, the sea of serenity and the descendent of Mustafa, Mawlana ‘Ali b. ‘Abdi’r-Rahman al-‘Umrani, called al-Jamal, may Allah ta’ala have mercy on him and be pleased with him!, died II94, H.
He gave it to his son Mawlay Hashim since he was the oldest. He said to him: “This is the trust of Allah with you. It is a treasure for you and your children and the elite of the people of our love in Allah.” It remained with him until he died in 1236, Hijra, may Allah have mercy on him! and his brother Mawlay ash-Sharif obtained it. It remained with him until he died in I248, E, may Allah have mercy on him. Then it was obtained by the writer of these letters, the slave of his Lord, Rashid b. Hashim Hashim being the one who was mentioned in respect to the trust to the sons of the above-mentioned Shaykh, from the oldest to the oldest until Allah inherits the earth and what is in it. He is the best of heirs. Allah is enough for every badl or other person, and attends to taking revenge from him and those who do wrong will know that they will be overthrown in the end, This was in the beginning of Muharram, I265, H.
Oh Brother! Know that the one with the station of annihilation is a treasure sealed with a talisman. Part of the sum of the attributes of the one with the station of annihilation is that his inward parts are health and honour, and his outward parts are abasement and humiliation. His inward is knowledge and obedience, and his outward is ignorance and rebellion. His inward is life and expansion and his outward is death and contraction. His inward is gatheredness and nearness, and his outward is separation and distance. His inward is giving and truth, and his outward is forbidding and false. His inward is beauty and light, and his outward is majesty and darkness. His inward is sincerity and hope, and his outward is lying and fear. His inward is accepted and his outward is rejected. His inward is expansion and mercy, and his outward is narrowness and revenge. His inward is kingdom, passion and arrival, and his outward is property, forsaking and being cut off. His inward helps the cosmos and what is in it, high and low. He is rich above the cosmos and what is in it. His outward extends from the cosmos and what is in it, high and low, and he is in need of the cosmos and what is in it. His inward is a king for all existence and his outward is a slave to all existence. These are part of his attributes which cannot be contained in this meaning. In respect to that one, you find creation fleeing from him as they flee the Fire. They do not profit from him as long as he is in this station -except for his equal in creation. That is because the selves of the common people are new in the contract with the divine presence. In respect to that one their selves fear the love of perfection and hatred of imperfection. However, in reality, there is no imperfection. All is perfection. That which is seen as imperfection is illusion, which they perceive from themselves in themselves because of their ignorance. Allah showed mercy when He said: “If you relate every ugly thing to its beauty, the meanings of beauty in it will come to you quickly.” The beauty of the imperfection of the ugly becomes perfect, so there is no imperfection and there is no ugly. The one with this station, the station of-annihilation, is rejected by creation because he is not part of them and he is not in the knowledge in which they dwell – the knowledge of the Shari’a. He is in the knowledge of reality. He becomes as if he were not the same genus as them. There is no relationship between him and them. He is the one with the reality and he is the one with the station of annihilation. Only the Real shelters him and the one among the people who is true with the Real. Know that the one with the outward is aided by all beings and they seek him. The one of the inward is the opposite. He aids all beings and seeks them. The one of the outward is by phenomenal beings, and phenomenal beings are by the one of the inward. What a distance there is between the one who is by beings and the one by whom beings are. Know also that things in existence are noble, higher, and more use- ful than the assembly of the weak because a man is on the din of his close friend. He said, the Great: We desired to be kind to those that were abased in the earth, and to make them leaders, and to make them the inheritors,, and to strengthen them in the earth. The weak are three: weak of nafs, weak in dunya, weak in the din. Our Shaykh, Sayyiduna al-‘Arabi related to us from his Shaykh, Sayyiduna Ahmad al-Yamani, may Allah give us the benefit of all, that he, may Allah be pleased with him! used to sit with the weak and be kind to the rich. He was very compassionate and tender to the weak in the din. He – may Allah be pleased with him! – was compassionate to the murderer and tender towards him more than he was towards the murdered. He was also com- passionate to the people of leadership and he was tender to them more than his tenderness towards the masses. He, may Allah be pleased with him, was more compassionate and tender to rebels than he was to the obedient. Know that the one of election only enters the land of the common with one of its people seeking his protection because it is not his land. If he were to enter it without a protector, he could only enter it abased, hiding from its people, by night. They would think his entering it without protection would be as if he were a thief. Shaykh Ahmad al-Yamani -may Allah give us benefit from him! – was among those who used to enter the land of the common taking a protector. His protector was with him and never left him because the country is kind to its occupant as a man is tender to a child. It rejects whoever is not among its people as a man rejects one who is not his child. There is no doubt that whoever enters the country with one of its people is like one who enters it with good. He does not fear destruction. Oh brother! Look and reflect on this wine and how the attributes are perfect in it and conditions abound in it and how its imperfection is com- pleted as He completed it. Glory be to the One who manifested it with perfection from imperfection and perfection until all became the perfect and there was no imperfection in it. Oh brother! Look at what brought it near in its distance and what made it far in its nearness, and what raised it in its height and what lowered it in its lowness, and what made it great in its smallness and what made it small in its greatness, and what strengthened it in its weakness and what made it weak in its strength, and what made it rich in its poverty and what impoverished it in its richness, and what made it mighty over itself and what abased it to itself, and what exalted its power over itself and what made it weak and under itself. Look how wide its separation is, and how narrow its joining is, and how vast its gift is to itself, and how narrow its forbidding itself is, and how great its good is in spite of its evil, and how great its evil is in spite of its good, and how quick its advancing is in spite of its retreat, and how quick its retreat is in spite of its advancing, and how great its goodness is in spite of its evil, and how great its evil is in spite of its goodness, and how noble its love and yearning is and how low its enmity and hate is, and how sweet its sweetness is in its bitterness and how bitter its bitterness is in its sweetness, and how strong its violence is in spite of its mildness, and how kind its mildness is in spite of its violence, and how avid it is in itself in spite of its contentment and how content it is in itself in spite of its avidity, and how generous it is to itself in spite of its correctness and how correct it is to itself in spite of its generosity. Look at the length of its words in spite of its silence and the length of its silence in spite of the length of its words, and how content it is in its wrath and how wrathful in its content tment, and its gravity in its jest and its jest in its gravity, and its knowledge in its ignorance and its ignorance in its knowledge, and its heat in its coldness and its coldness in its heat, and its sweetness in its bitterness and its bitterness in its sweetness, and the elevationof its himma in its lowness and the lowering of its cycle in its height -and how aware it is of itself, and how ignorant it is of itself, and how hidden to itself and how manifest to itself, and how wanton its madness is and how singular its tawhid – how much it reminds itself and makes it understand and how much it neglects it in its remambering – how thank ful it is to itself in its ingratitude and how ungrateful it is to itself and thanks it – how much it advances to itself in its retreat and how much it makes it retreat in its advance. How strong its help to itself is in spite of its disappointment and how great its disappointment is in spite of the existence of its help. It loves itself and is loved by itself. It arrives in its being cut off, and is cut off in its arrival. It laughs in its weeping and it weeps in its laughing. It is ill with itself in spite of its healing, and healing itself in its illness. It brings itself to life so it is its death. It is dead, to itself in its life. It is expanded in its contraction, contracted in its expansion. It exists in its non-existence, and is non-existent in its coming into existence. It is present in its absence and absent in its presence. Know that divestment (tajrid) is not completed for its possessor until it is self, din, and this world. The signs of the perfection of its possessor is that you find that he does not reject any of Allah’s creatures. He affirms them in their words, deed, and states, even his own self. He only sees all of existence and what it contains in the very limit of thoroughness and the very limit of perfection. They call this station annihilation. When this meaning is perfected for the divested slave, then he may become liberal with the command of Allah ta’ala. He says to a thing: “Be!” and it is. Then your ransom has appeared, so be still. Cling to denial. Quiet your attributes. because Allah, the Blessed, the Exalted! created this existence from you, and He created you from it, i.e. Its formation was from you in the knowledge of reality, and your formation was from it in the knowledge of the Sharia – not because of your favour and generosity to it since He made you an Amir over it and made it subservient to your himma, command, and will. Allah made you rule it and did not make existence rule you. All of it is a mirror exactly opposite you – your states and its states, your words and its words, and your deeds and its deeds without increase or decrease. When you incline to it and acknowledge to it its nearness to you, then it inclines to you and acknowledges to you your nearness to it. When you remove it from you and deny its nearness, it is distant from you and denies your nearness to it.